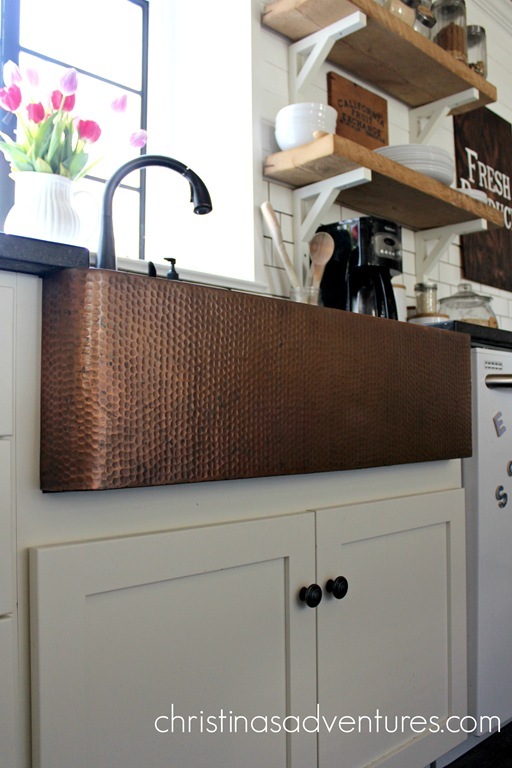 I always envisioned a big dreamy white farmhouse sink, but when I found out there was such a thing as a copper sink, I started second guessing my white sink dreams. 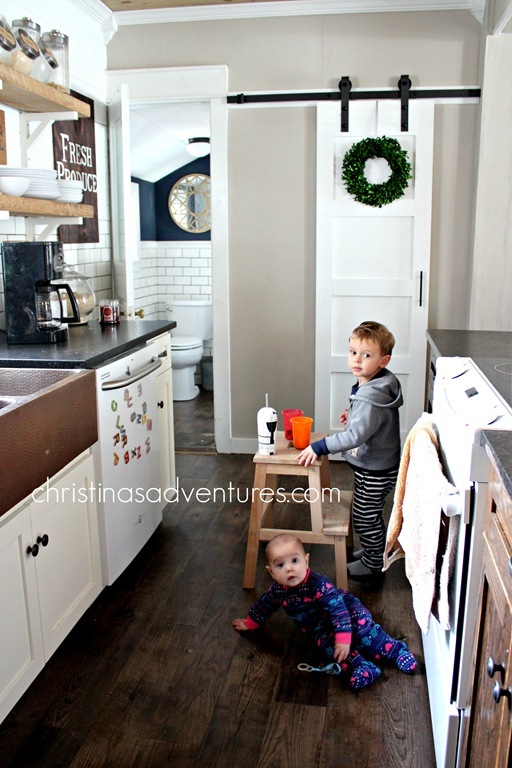 I even wrote a post about my copper sink inspiration pictures last year. Fast forward almost a year, and we have a copper sink as the focal point of our kitchen. I LOVE IT. I will write about the pros and cons of these sinks shortly, but for now, know that I would buy our sink over and over again! People ask about cleaning our sink a lot – here’s a product I like to use for our copper sink. It’s so inexpensive and works REALLY well! I’ve had SO many people asking me about our copper sink over the past few years! I’ll be writing up a more comprehensive post soon, but I just need you to know this: if you want it to look shiny and brand new all the time, then I would not recommend installing one of these sinks in your home. I personally love the way it looks when it’s polished and shiny, but I also love the authentic old-world feel of the toned down antiqued copper color. So be honest with yourself before purchasing, and make sure you’re OK with the darker color before purchasing and installing. Have you followed our renovation journey from the beginning? 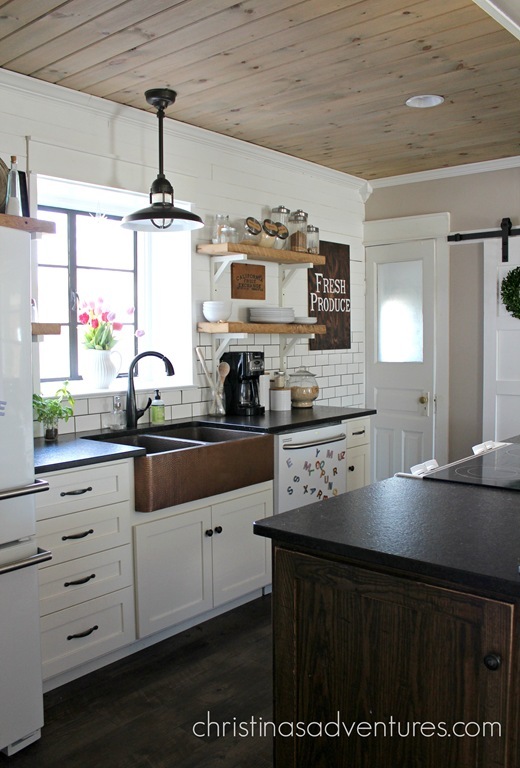 If not – you HAVE to see what this kitchen used to look like! Like this post? Please share with others by pinning it here. Previous Post: « Help wanted! That sink is to die for!! I would love to hear about your pros and cons, and how the upkeep is on your copper sink. I just ordered the same sink you have but I ordered the single bowl. I love it! I actually ordered a white apron front sink, but when a friend showed me the copper I changed my mind and got the copper! What do you think of your leather granite counter tops? Easy to maintain? Do you see a lot of the dirt? I have a question about the sink and cabinet? What size is the cabinet base? In addition, does the sink have a lip on each side to rest on cabinet? What beige color is on your wall? Trying to find a grey beige.